The threat of kidnap and ransom has dramatically increased in the U.S. and abroad. There are now more than 30,000 reported kidnappings each year. Over 70% of these are resolved by payment of ransom. In addition to ransom, expenses may include the fees for negotiators, investigators, attorneys, public relations professionals, forensic analysts and security guards. There may also be payments for reward money, interest on loans and extensive medical costs not covered by traditional insurance plans. A Kidnap & Ransom policy is an inexpensive way to protect your hedge fund against these risks. Not only will the policy pay for the ransom, but the carriers have on retainer companies that specialize in hostage negotiation and crisis management. Broad Definition of Insured The policy can be designed in include coverage for the investment manager entity; the fund(s); directors, officers, partners, members; employees, including temporary and leased employees; interns; relatives of employees; guests on the company's premises or in an employee's home; and any person retained to deliver the ransom. Kidnap/Ransom Reimburses the policyholder for ransom paid following an actual or alleged kidnapping of an insured person, relative or guest. Extortion Bodily Injury Reimburses the policyholder for ransom paid following the receipt of a threat to kill, injure or kidnap an insured person, relative or guest. Extortion Property Damage Reimburses the policyholder for ransom paid following the receipt of a threat to cause physical damage or loss to the insured's property. Detention Reimburses the policyholder for the salary of an insured person, relative or guest who is the victim of a detention, as well as certain expenses incurred by the policyholder. Custody Coverage Insures money or other conveyed property used to pay a ransom or extortion demand and reimburses the policyholder if the ransom payment is confiscated, unlawfully taken, destroyed, or disappears while being transported to pay the ransom. Expense Coverage The policy may cover independent security consultants; independent public relations consultants; travel and accommodations of insured persons; independent legal advice; independent security guard services; advertising, communications, and recording equipment; independent forensic analyst; interest on a loan taken by the insured to pay a ransom or extortion demand; reward for information leading to arrest and conviction of the perpetrators; kidnapped employee's salary; temporary replacement employee's salary; personal financial loss resulting from the kidnapped employee's inability to attend to personal financial matters; medical, cosmetic, psychiatric, and dental expenses incurred following the insured person's release; and rest and rehabilitation for the victim. Political Threat Expense The policy may insure expenses incurred when a government or a political terrorist or insurgent party threatens bodily harm to insured individuals. Emergency Political Repatriation Expense The policy may insure reasonable expenses associated with repatriating employees when the home government recommends that its citizens leave a foreign country. Legal Liability Coverage In hostage retrievals or complex negotiations, things can go wrong. The hedge fund can be sued for negligence or incompetence in connection with the hostage retrieval operations and negotiations, or prevention of a covered kidnapping, hijacking, political threat, or wrongful detention. The policy can be extended to include coverage for defense costs incurred by the hedge fund, as well as damages the hedge fund becomes legally obligated to pay as a result of a judgment or settlement in any such suit. Business Income The policy may insure income lost by the investment manager as a result of a kidnapping or extortion event. Accidental Death or Dismemberment Coverage The policy may provide a benefit amount as a result of loss of life or other form of bodily injury that occurs as a consequence of a kidnapping, political threat, or wrongful detention. 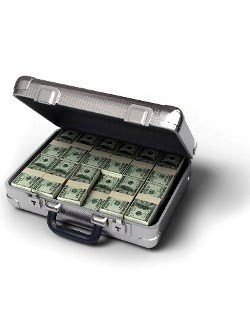 Kidnap & Ransom policies are rated based on the hedge fund's foreign travel exposure. The policies are relatively inexpensive - a $1,000,000 limit may cost as little as $2,000 per year. Of course, Hedge Fund Insurance will provide you with a complete proposal, including the exact annual premium, once we better understand your risk and have had a chance to present your account to underwriters. A fund manager was abducted from his hotel in Mexico by members of a gang. The kidnappers demanded a ransom of $1,000,000. A partner of a firm was abducted from the company's parking lot as he arrived for work early one morning. He was taken to a motel and then to a rented house where he was gagged, blindfolded, shackled with chains, and stuffed in a closet. He was held for five days before a ransom demand of $650,000 was paid. In addition to the ransom, there were additional costs of obtaining a loan and paying for additional security to protect his family. A firm received a series of threats, including a photocopy of a gun, notes containing threats of violence against specific employees, and phone calls including recordings of gunshot sounds. The perpetrator(s) initially demanded as much as $50,000 to stop the threats. In addition, a private security consultant was hired to analyze the notes, protect the premises and the threatened individuals, and set up a drop site for the money demanded. The threats continued for over three years without any occurrence of violence. The cost of the private security firm's activities eventually exceeded $4 million.